When it comes to superfoods, you may think you’ve seen them all, but have you heard of spirulina? A blue-green freshwater algae, spirulina is grown around the world in warm climates, including Mexico, Africa, and even Hawaii. With an intense flavor and an even more intense nutritional bang, it’s no wonder it’s found in health food stores as well as shakes, bars, and supplements. To help you be your own health hero, Ask Dr. Nandi’s here to show you some of the health benefits of spirulina and tell you why it should be part of your diet. Spirulina is a nutrient powerhouse. 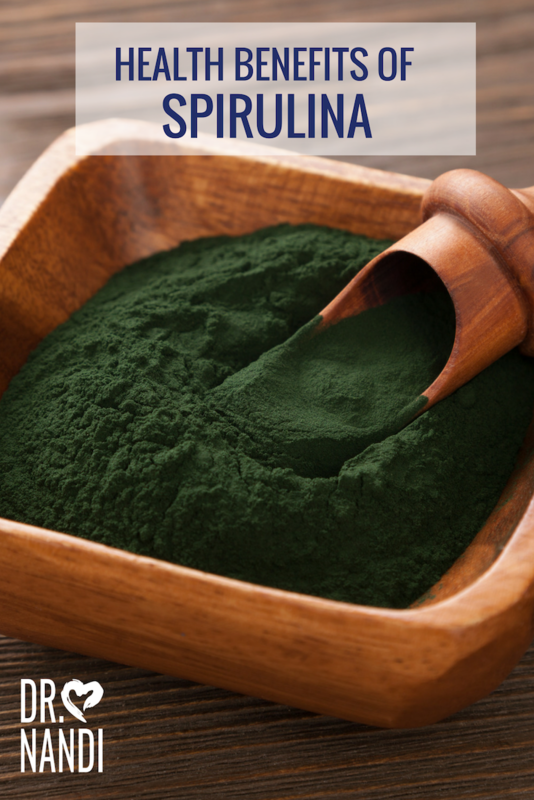 Made from 65% protein, spirulina has more amino acids than blueberries, more calcium than whole milk, and contains a range of nutrients including omega-3 fatty acids, iron, manganese, chromium, niacin, potassium, B vitamins, and vitamins C, D, and E. It is by far one of the most nutritionally dense foods available. Filled with all the good stuff your body craves, spirulina keeps you healthy. It boosts your immune system by increasing the amount of antibodies, helping you fight infections. It decreases blood pressure and cholesterol levels as well as lowers the risk of stroke. Spirulina may even be able to stop the spread of certain cancer cells, slowing the disease’s progression. Like plants, spirulina produces chlorophyll, giving it its green color and detoxifying abilities. It’s very good at removing heavy metals, especially arsenic, from the body. With no known treatment for arsenic poisoning, spirulina is used to both prevent poisoning and reduce symptoms in those with already toxic levels. When it comes to your gut, you need a balance of natural flora and fauna to keep things functioning and happy, and spirulina helps with that. By eliminating the microbacteria candida and keeping the microflora balanced, gut and stomach issues are avoided, as well as the symptoms of certain auto-immune disorders. In this same manner, spirulina also works to fight against yeast infections and can be the secret to eliminating them for those who experience more than four a year. When you’re thinking of adding a supplement to improve your overall health, algae may not have come to mind, but it should have. 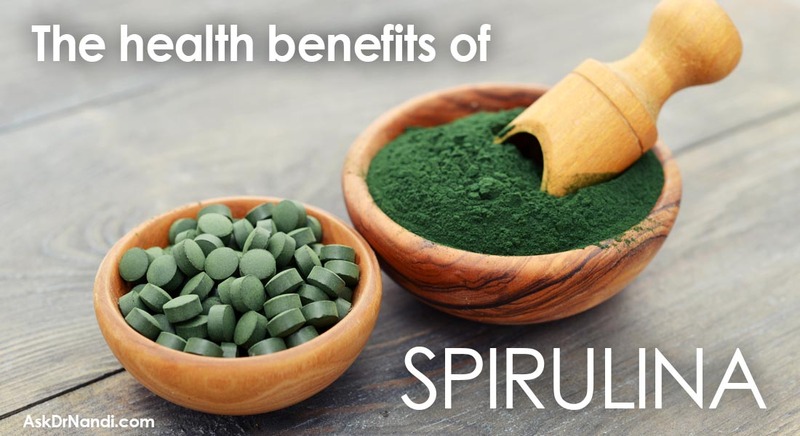 Spirulina has so many health benefits that there’s no reason not to use it. Follow Dr. Nandi’s advice and be your own health hero. Chose organic to ensure it’s not contaminated or contains nitrate compounds. Add two teaspoons of spirulina to your morning smoothie and bump up to two tablespoons when you’re not feeling well. Spirulina can be mixed with water or juice, but be aware that it has a strong, earthy flavor. Blend spirulina into brownie recipes to gain extra nutrients. Don’t be compelled to eat the powder plain, the taste can be overwhelming and it’s the consistency of flour.